Thor Hushovd wins stage 13. 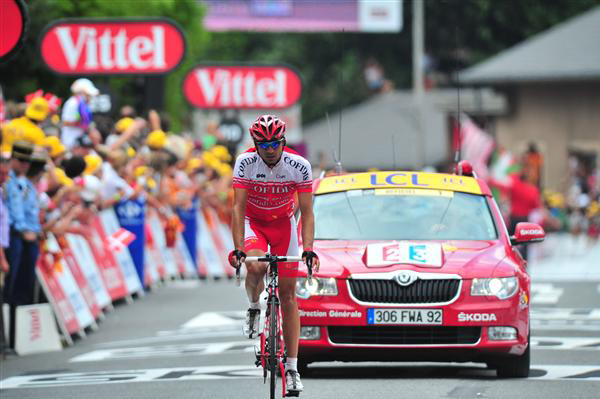 David Moncoutie tried to stay with Hushovd, but was dropped by Hushovd's first attack. 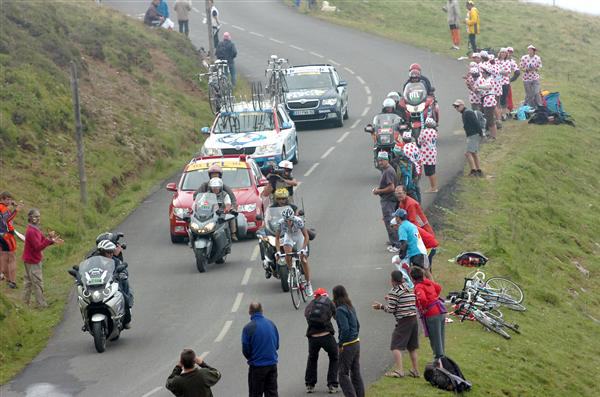 By the time Hushovd and Moncoutie caught Jérémy Roy, he was cooked. He will be in polka-dots tomorrow. Philippe Gilbert took off looking for green jersey points and beat the pack by almost a minute. 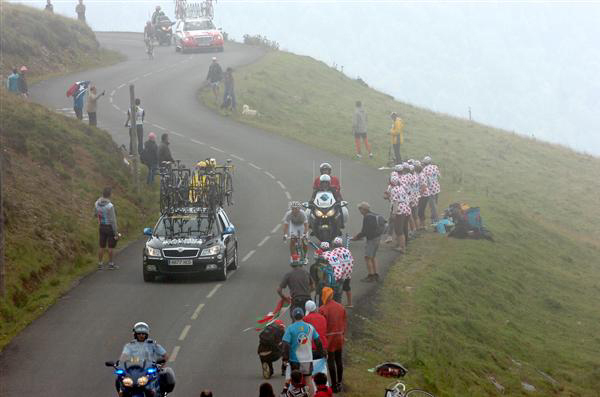 Earlier in the day, Jérémy Roy was first over the fog-shrouded Aubisque. Thor Hushovd, a couple of minutes back, tore after him. 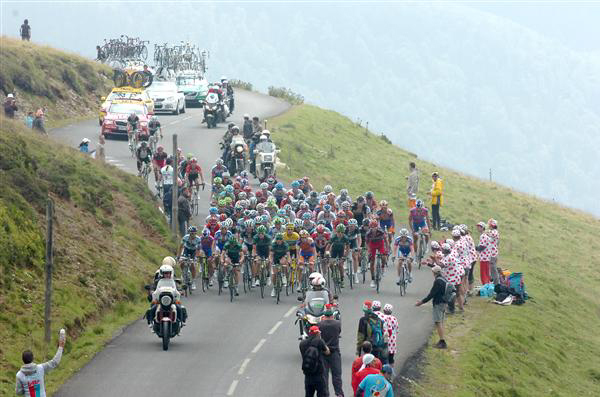 Several minutes later a disinterested peloton crested the Aubisque.